Steps from the beach w/incredible views! Family/pet friendly! Property 7: Steps from the beach w/incredible views! Family/pet friendly! Property 9: The Beach Life Awaits! 5 Star Beach House Beauty! Steps to the Ocean! Property 10: 5 Star Beach House Beauty! Steps to the Ocean! Beautfifully Updated 2 bed/2.5 bath Club Villa Condo - Steps to the pool! Property 17: Beautfifully Updated 2 bed/2.5 bath Club Villa Condo - Steps to the pool! Riverfront retreat just across from downtown, hospitals & stadium. Property 21: Riverfront retreat just across from downtown, hospitals & stadium. It's like 3 hotel rooms under one roof! Every room has a bath! Property 22: It's like 3 hotel rooms under one roof! Every room has a bath! Walk the Plank in this 3 bedroom oceanfront luxury townhome! Property 26: Walk the Plank in this 3 bedroom oceanfront luxury townhome! Luxury Jax beach Home - 1.5 blocks from the sand! Property 28: Luxury Jax beach Home - 1.5 blocks from the sand! 400 steps to the Beach! Join the fun at "Playin' Hooky"
Property 31: 400 steps to the Beach! Join the fun at "Playin' Hooky"
2 bed/2.5 bath Club Villas condo - Beautiful views on marsh & golf course! Property 33: 2 bed/2.5 bath Club Villas condo - Beautiful views on marsh & golf course! 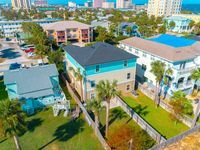 3 bed/3.5 bath Beach Wood Villas - Great Location & Summer Rates!! 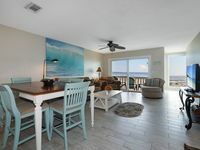 Property 39: 3 bed/3.5 bath Beach Wood Villas - Great Location & Summer Rates!! Property 43: Renovated Family Beach House! Beautiful 4 BR Sawgrass Condo - Golf Cart Included! Property 45: Beautiful 4 BR Sawgrass Condo - Golf Cart Included! Great location with easy access to all points in Jacksonville. Property 46: Great location with easy access to all points in Jacksonville. Walk to the ocean, restaurants, shops from this fully equipped townhouse! Property 47: Walk to the ocean, restaurants, shops from this fully equipped townhouse! Ultra-Modern Beach Townhouse|BBQ Grill| Beach Towels | Steps to the Beach! Property 49: Ultra-Modern Beach Townhouse|BBQ Grill| Beach Towels | Steps to the Beach! Great place to stay in Jacksonville! We enjoyed our stay, the condo was clean and right on the beach. We enjoyed the view from our balcony and would recommend this condo to anyone coming to Jacksonville!